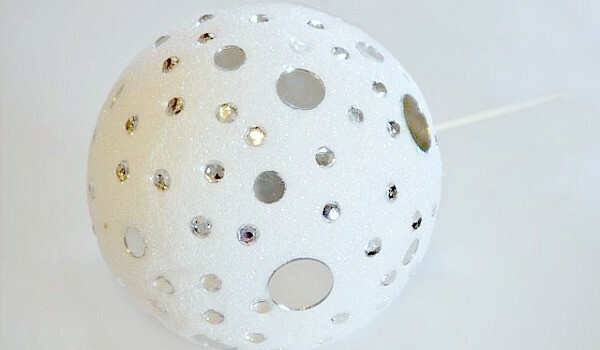 Destri of The Mother Huddle made this sparkly New Year’s Eve Ball so that she could truly celebrate ringing in the New Year at home with her kids. Once you have tackled this project, you must head over to check out the rest of the website for other craft tutorials, recipes and inspiration for moms all over. And what’s a celebration without cake? These Champagne Frosted Cupcakes from Loralee Lewis can be made with or without the alcohol making them perfect treats for the whole family. 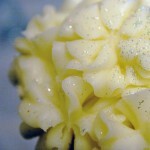 Add a bit of edible glitter and turn a vanilla or strawberry cupcake into a show stopper. Visit Loralee’s website to check out all of her hostessing and party planning ideas – I think she is brilliant!